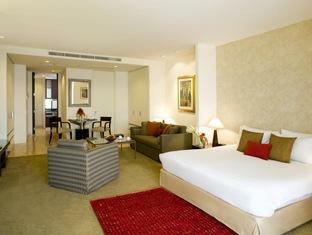 Stay in Sukhumvit Bangkok and enjoy the nightlife, shopping and restaurants. The Soi Cowboy area is generally considered to be more upmarket than that of the infamous Pat Pong night time entertainment strip in the Silom district. The Sukhumvit Road goes all the way from Bangkok out past Pattaya, but when people talk about Sukhumvit in relation to Bangkok, then they are referring to the district of Sukhumvit. Generally speaking the Sukhumvit area goes from the Phrom Phong BTS station to the Nana BTS station and as a tourist it is a great location to stay as the access to the BTS train makes getting to other areas quite straight forward. In the middle of Sukhumvit is the Asoke intersection and here you can take the MRT, that will take you as far as Chatuchak Market or in the other direction towards Wat Hua Lamphong. 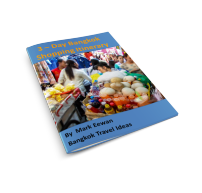 What is there to do in Sukhumvit? The Sukhumvit area of Bangkok between Soi's 6 and 12 is primarily an entertainment area, but you will find large shopping complexes from soi 12-24. So if you like music, bars, restaurants etc then you probably won't be disappointed in the lower soi numbers. As well as Thai restaurants, there are Indian, Italian and middle Eastern styles of food and of course there is the ever present Thai street food. Most of the girly bars are situated in the discreet areas of Nana, Soi Cowboy and Soi 33 and so the area is still suitable for families and those with children as there is no need to visit these areas. There are two large parks nearby. Benjakati Park is situated just up from the Asok intersection and houses the Queen Sirikit Convention Centre. Benjasiri Park is located between Soi's 22 and 24 and has an outdoor swimming pool and large lake where you can feed the fish. In the evening there are free aerobic classes at the back of the park. If you are a photographer then Soi Cowboy has lots of neon lighting which along the character of a small soi, that makes for good night time photographs, especially when it has been raining. In the Sukhumvit area you are closer to the airport, as well as to some of the popular attractions such as the Crocodile Farm, the Ancient City, the Erawan Monument and the nearby beach at Bang Saen. The Sukhumvit location is generally a 40 minute taxi ride from Bangkok Airport, depending upon traffic. Located in Sukhumvit, Emporium Suites is a right next to the Phrom Phong BTS station and makes a great base from which to explore Bangkok. Hop on the skytrain and head to the downtown shopping areas of MBK and miss the traffic jams below. Benjasiri Park is right next door, as is the up-market Emporium Shopping mall. 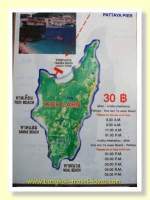 From USD $190 BOOK NOW! 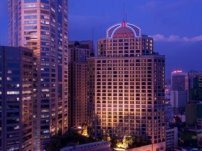 The 4-star Bangkok Hotel Lotus Sukhumvit is located on Soi 33, a narrow street packed with small restaurants and sports bars. The great breakfast spread welcomes you in the morning and for a spot of relaxation head on over to the pool area. 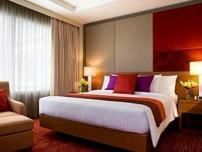 The hotel is just a short walk to the Phrom Phong BTS station. From USD $92 BOOK NOW! 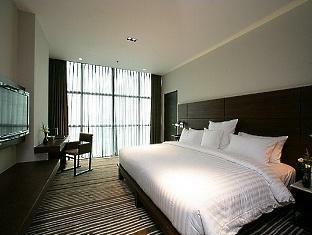 The architect designed S31 Sukhumvit Hotel is going to delight even the discerning business traveller. Set just off Sukhumvit Road between Soi Cowboy and Soi 33 the hotel is conveniently located just 500m from Phrom Phong BTS and the Emporium shopping mall and has a range of facilities to make your stay a pleasant one. From USD $134 BOOK NOW! 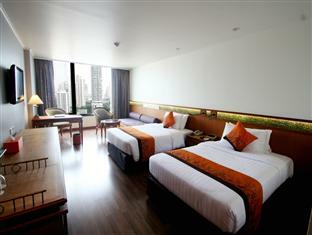 Check out the full range of hotels to stay in Sukhumvit Bangkok at Agoda now.